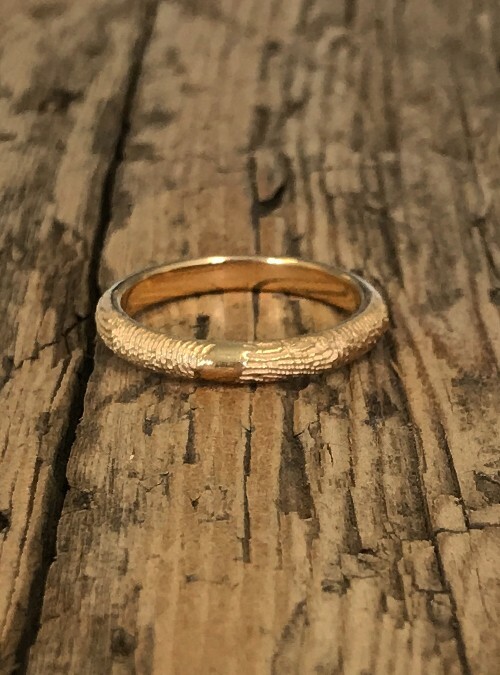 Your unique wedding ring with your partner’s (and yours too if you’d like) fingerprints so clear and true to life that you will feel forever close even when apart. Create your ring with one or two fingerprints. Inquire to further customize with gemstones.